September 8, 2014 bcalvanocoachingLeave a Comment on Weekly Angel Card Reading for September 8 through 14. Weekly Angel Card Reading for September 8 through 14. Join me this Saturday, September 8th on BlogTalk Radio at 3 pm EST http://www.blogtalkradio.com/letsasktheangels I’m back to my Saturday time slot and an hour earlier than before. I look forward to sharing the angel’s messages and guidance with you! Call in at 424-675-6837 for a reading. 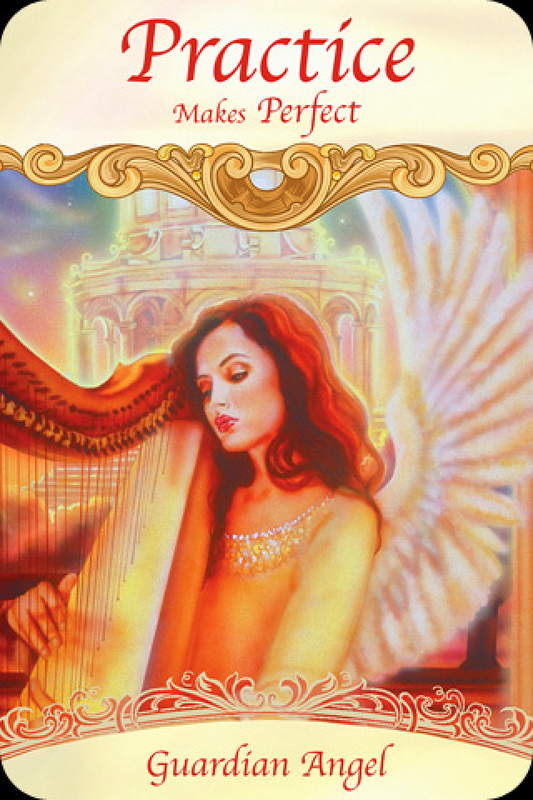 This week I am guided to use the Saints and Angels Oracle Card by Doreen Virtue. 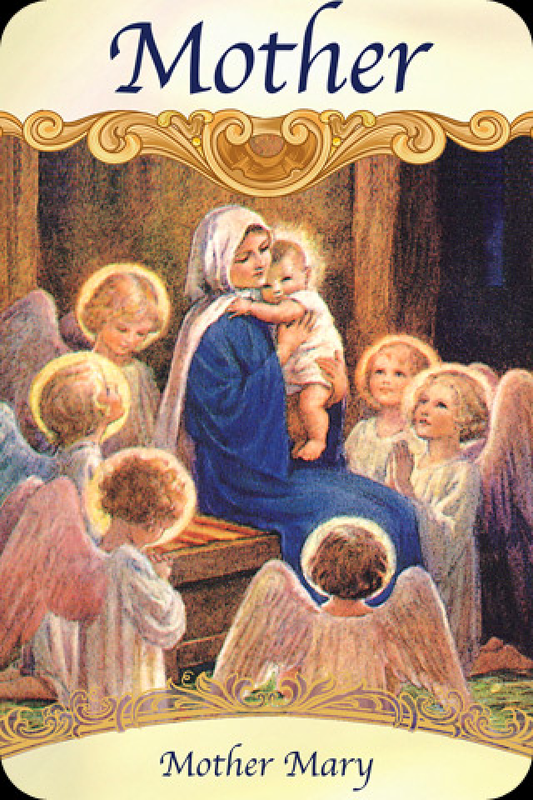 For Monday and Tuesday we have the message, “Practice Makes Perfect” from your Guardian Angel. The message here is to focus on practicing and not perfection. When we practice daily on the things that we want to improve on we can only get better and more adept. The process itself is way more valuable than the end result. Confidence and even a sense of joy will result! It is in the tiny steps of our daily actions that allow us to improve. The angels are saying that many of us want to deepen our spiritual connection with God and the angels. This connection is everywhere- with our angels, our friends, families, our physical bodies and work or career. Strengthening and building this connection takes daily practice. Many are looking to improve their ability to share and expressive themselves more deeply and powerfully through listening and communication. The more we practice the better we get at being effective with all of our subtle and rich emotions. This allows us to creatively and powerfully transmit our thoughts and feelings into form. We each have at least two Guardian angels. They are letting us know that they are lovingly assisting us with our lives. With their aid we have the opportunity to heighten and empower ourselves with regards to anything and with daily practice. For Wednesday and Thursday we have the message, “Miracle” from Christ. 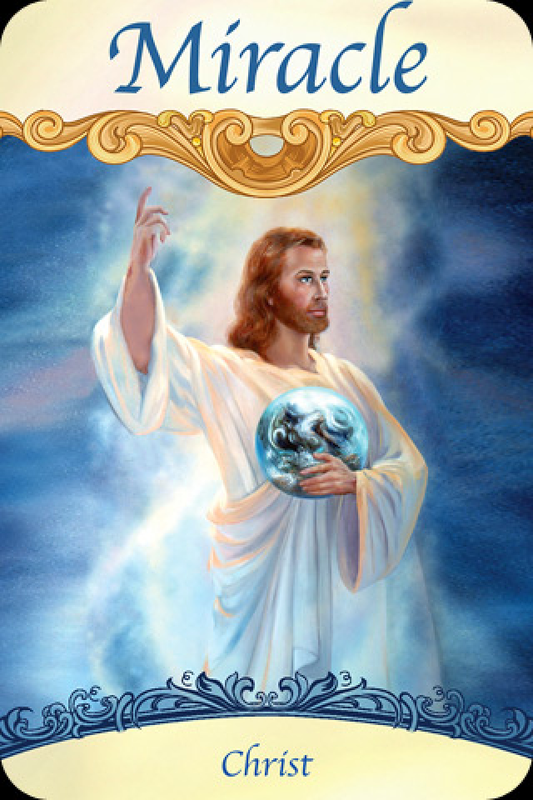 Here we have the ascended master, Christ with us to provide us with a miracle! It may be in the form of an answered prayer or even an unexpected surprise. In the picture he is holding the planet Earth in his arms close to his heart. Jesus is showing us that his love and compassion is for all people regardless of spiritual or religious background. Anyone can call upon Jesus to assist you, especially for healing. Whether it is for a physical illness, emotional issue, circumstance or situations, calling upon Jesus can provide an answer for you this week. Your miracle allows others to have more faith with their lives, too. So it benefits everyone! Allow the beautiful golden aura and healing energy of Christ to fill you and surround you this week. Be prepared and expect a miracle in your life! And for the weekend we have the message, “Mother” from Mother Mary. We have Christ’s Mother Mary to assist us with any unhealed issues with our own Mother that may need healing. By allowing this healing we are more empowered in relating with the women in our lives especially those in authority. A level of deep forgiveness and compassion is available for many of us this week. This is very powerful as this can affect our whole life. By healing issues with our mother and women we are allowing at least half of the human race to be more available to us on a level of pure love and affinity. Mother Mary is embracing us with her warm and powerful loving energy. Her sky blue aura is surrounding and filling us with comfort and safety. To receive this reading weekly enter your email at my website. Personal readings can be for angelic guidance and coaching for any area of your life including relationships, career, life purpose, health. I also provide energy clearing and balancing. If you are dealing with issues of stress and anxiety this can be very helpful. Next Weekly Angel Card Reading for September 15 through 21.